October is breast cancer awareness month and as part of its Cups Against Breast Cancer campaign, the Society is raising awareness of the disease and fundraising for free patient support services. 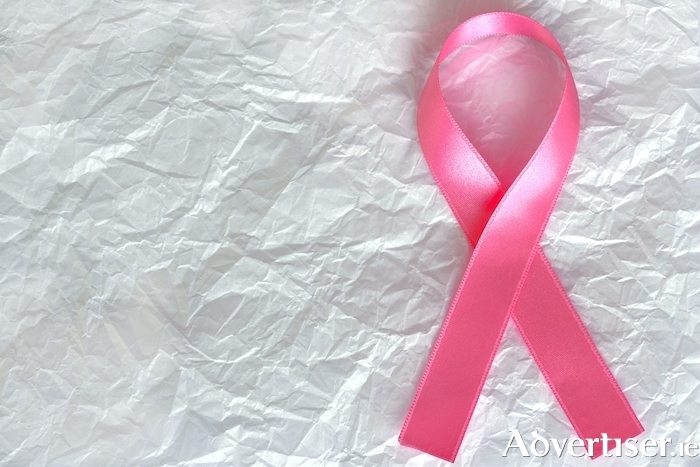 Over 3,100 women in Ireland are diagnosed with breast cancer annually, up from 2,495 in 2007. Most recent figures show that an average of 94 women in Mayo are diagnosed with breast cancer annually. Despite a growing incidence of breast cancer, over 86 per cent of women now survive their breast cancer diagnosis for five years. There are also a number of ways to reduce your risk of breast cancer, including being a healthy weight, being active for 30 minutes a day at least five days a week, not drinking more alcohol than the recommended daily amount, breastfeeding your baby, not smoking and by attending Breastcheck when called. As part of its Cups Against Breast Cancer fundraising campaign, the Society is urging members of the public to host a fundraising coffee morning during the month of October. Money raised will help fund lifesaving research and free services including Daffodil Centres and the Freephone Cancer Nurseline. Members of the public can speak to a Cancer Nurse on any aspect of breast cancer by contacting the Cancer Nurseline on Freephone 1800 200 700 or by dropping into one of 13 Daffodil Centres in hospitals nationwide.